S.E. 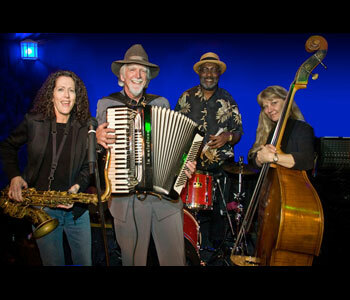 Willis and his band, Ruth Davies on bass and Bobby Cochran on drums and vocals, invite you to their own holiday party, joined by local favorite and great musician Nancy Wright on saxophone and vocals. The music (mostly originals by Willis) draws on a wide base of American musical forms, including Country, Zydeco, Soul, R&B, and of course Blues, with covers from such artists as Muddy Waters, Hank Williams, Fats Domino, Merle Haggard, Clifton Chenier, Robert Johnson, and Ray Charles. This is a band that delivers a solidly entertaining show of music, executed with superb musicianship, while never losing sight of the goal of providing a danceable good time! Bobby Cochran has had a long and important career in music, beginning in the Bay Area with a stint in the Army Band that brought him here. He subsequently played with Bobby Freeman, Carol Doda, Edwin Hawkins, Cold Blood, Tom Fogerty's Ruby and, of course, Elvin Bishop.